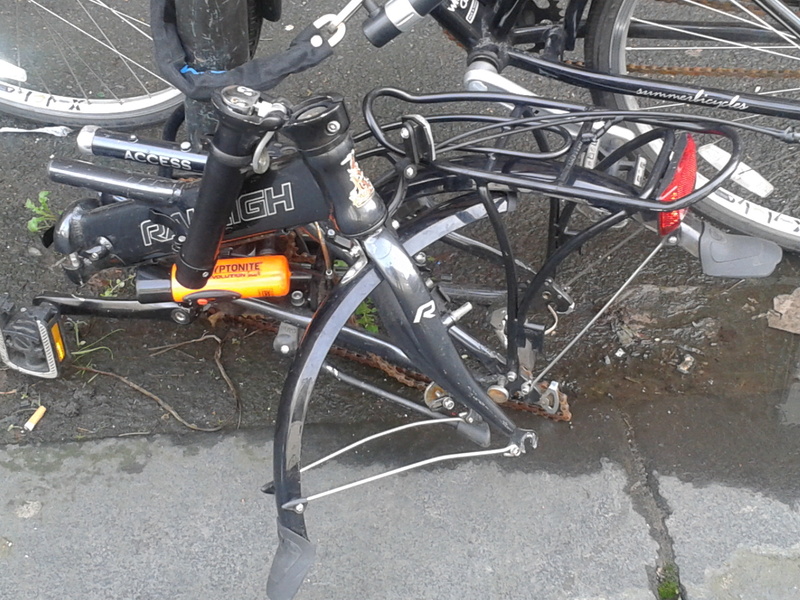 The sad and mangled corpse of my beautiful Raleigh Access. Mournful sigh. Owning a bike is an emotional investment. There’s no two ways about it. Your bike takes you places. You take pride in it. Sometimes you brag about it to your friends. It helps you to defy traffic by flying past giant metal boxes on wheels sat stationary in gridlock. You glide through the wind, coast in the glory of the sun; sometimes it even makes the 9 mile commute pure pleasure. So, if you’re a cyclist and you live in a city, you probably also know the heartbreak that I felt in January when I opened the door to my East London flat to find the woeful and pathetic assembly of parts you see above. You could have taken a jagged, rusty dagger, thrust it into my abdomen, twisted hard and repeated and you would come somewhere close to appreciating how I felt. To reappropriate Shylock, the curse never fell upon my nation until that moment. I never felt it until then. I might as well come out and say it: I loved that bike. We had come home from our week long holiday in Copenhagen, an absolutely brilliant cycling city, last February, having had the healthiest and most exhilarating vacation we’d ever known, cycling through snow, over bridges and rivers, through settlements and hipster hangouts and we came back having been bitten by the bug. We were determined to acquire ourselves wheels upon our return to the metropolis. There it is, in all its marvellous, urban glory. Grieving sigh. Before Denmark, I hadn’t really cycled in years, but it didn’t take long to fall in love with zipping speedily down urban thoroughfares, drunk with the power that comes with the speed and control of my own muscles, reawakening after sleeping lazily in a near atrophic state for years. I was surprised to notice — actually notice from day to day — becoming physically stronger in partnership with my two-wheeled 6 speed wonder. I went from a 5 and half mile limit to 9 miles in just over 40 minutes rapidly (Oi, serious cyclists! Stop laughing. I was doing well) and with that came such a euphoric sense of accomplishment — all from pushing with my two legs in a cyclical motion. All right. I know in the end it all comes down to an endorphin rush, but at the time, it was an epiphany. And my bike and I were one. If you are a cyclist or passionate about anything, you know the feeling. And then it was savaged. My beautiful machine. No. It wasn’t stolen. I would almost have rather they had done that. At least there is some finitude in a clean theft, some sense of closure. No. Some very talented and very vile scum patiently — but quickly I imagine and with help I imagine — picked my bike clean and left its bare skeleton clothed in nothing but its rear brake calipers still locked to the signpost to which it had been fastened for nearly a year. Dramatic? Perhaps, but if you know the feeling, I think you’ll probably agree, my response is quite a liberal one. Want to know the kicker? 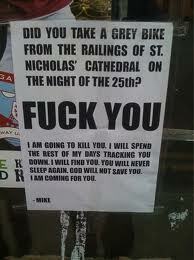 I’ve had two bikes stolen since! 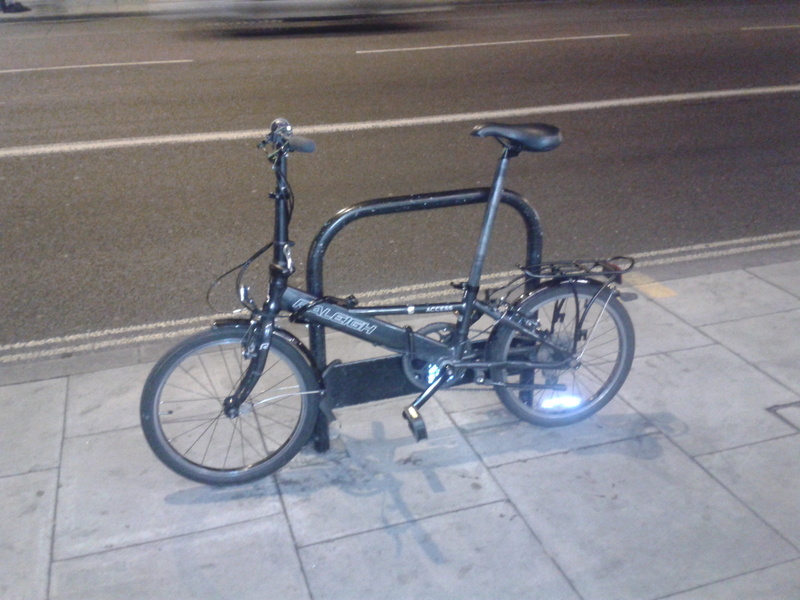 One, a Dahon Matrix acquired fairly quickly after the Access, lifted at night, liberated from its quick-release wheel, which the spiteful spawn of Satan left me with. A cruel joke? I find myself flailing around for a sense of humor. 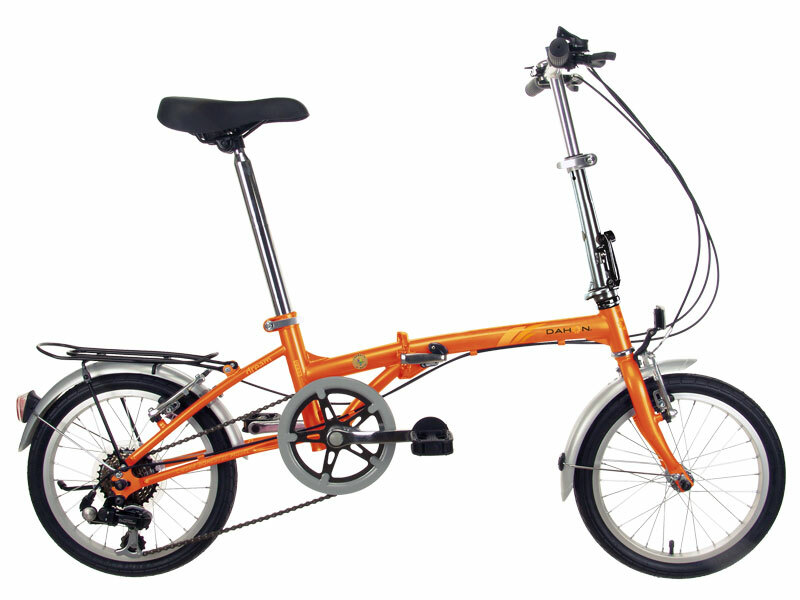 The last one, most recently, was a find off gumtree that I counted myself lucky to acquire: A Dahon Dream, a model rare in Britain, built for the domestic Chinese market, but after acquiring a loyalty for Dahon and Raleigh, I know any Dahon is going to be well built. All for £60. That’s right. £60! No Raleigh Access, but after three weeks, I was starting to grow rather fond of it. Alas. It seems the brotherhood of Hackney Bike Thieves have made me a marked man. I thought I had finally hit on the perfect security system. 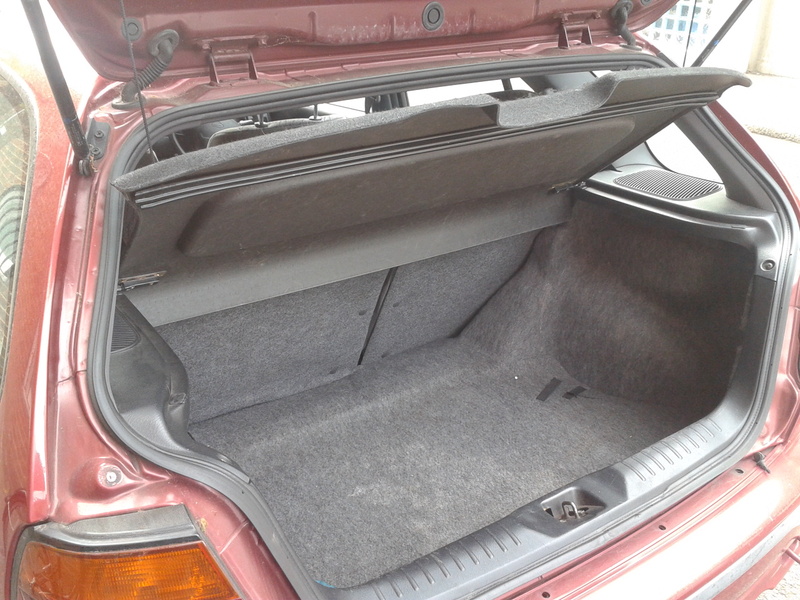 I had started packing away my folding bike (I’ve become quite attached to the urban flexibility of folders) in the trunk of my car. So far, so safe. I know something valuable is supposed to be here. I must have started becoming calloused. After being hit for a third time and after 30 seconds of taking in the full impact of the emptiness that lay before me and what happened, I nearly shrugged. 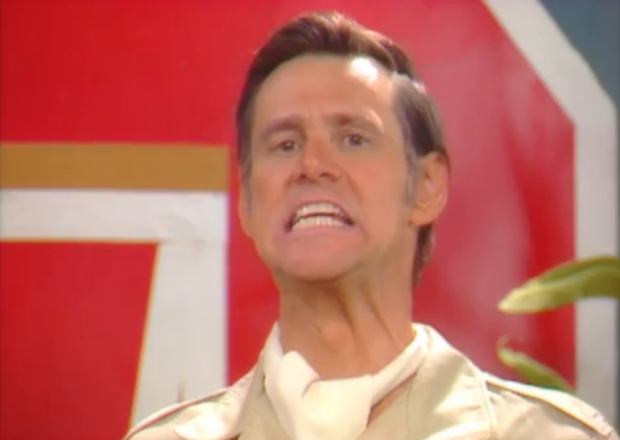 Then the litany of profanity followed. As near as I can figure, some local, morally depraved trolls must have seen me putting my bike in the trunk, picked my lock and neatly plucked the bike out. Bloody hell. At this point, I started to feel bereft of any reason to have an iota of faith in humanity. 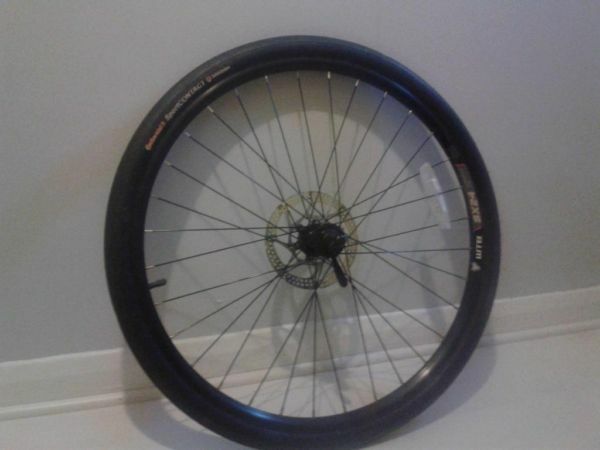 I’m not a fan of putting profanity on this blog, but I thought this image I found by a righteous defender of the cycling faithful just warmed the heart. And one of the worst aspects of this whole thing is that I leave my home now looking around at people in the street with narrowed eyes thinking, “Which one of you, huh? Which one of you did it?” Was it the youths on the corner or the vegan anarchist volunteers in the cafe downstairs? It really is anyone’s guess. According to statistics from 2011, there are over 22,000 bike thefts in London reported every year and I live in one of the worst boroughs for it (Hackney, over 1500 thefts annually). I didn’t report my second one and my first one I was told by the police that there wasn’t much point. I suppose it’s supposed to be, “a comfort to those that are wretched to have companions in misery,” but somehow it just makes me want to give up the hobby altogether. If you care about it, insure it. If you’ve got a folding bike, do the logical thing and keep it inside. Register your bike with the police. Might not make any difference, but at least you’ve done all you can. 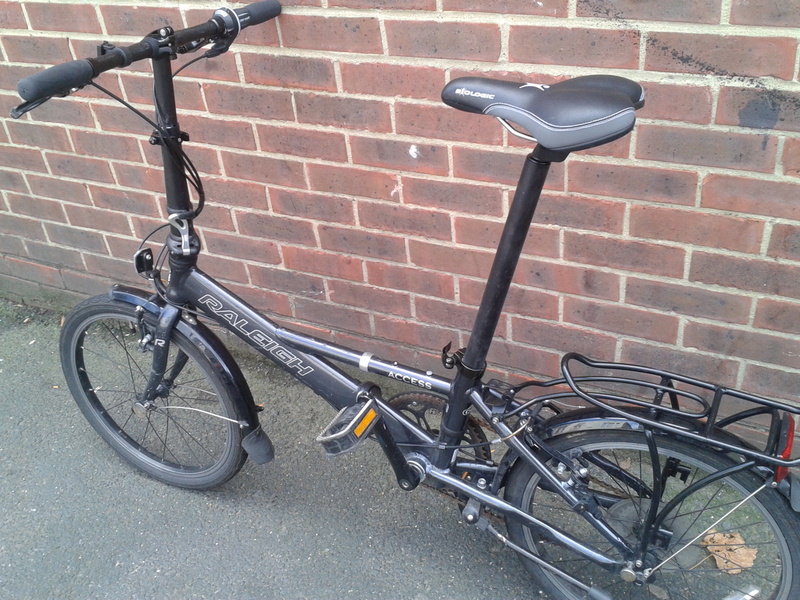 With that in mind, somewhat incredibly, I find myself trawling ebay again, search terms: Dahon/Raleigh folding bike. I don’t foresee the financial grounding until next month, but it’s nice to look. It’ll never be like that Raleigh Access, but I’ll get on my bike and ride.